Spend some time with bae at Harvest Grill & Wine on Wednesdays and treat them to our household Buffet. Delicious menu with a great price. 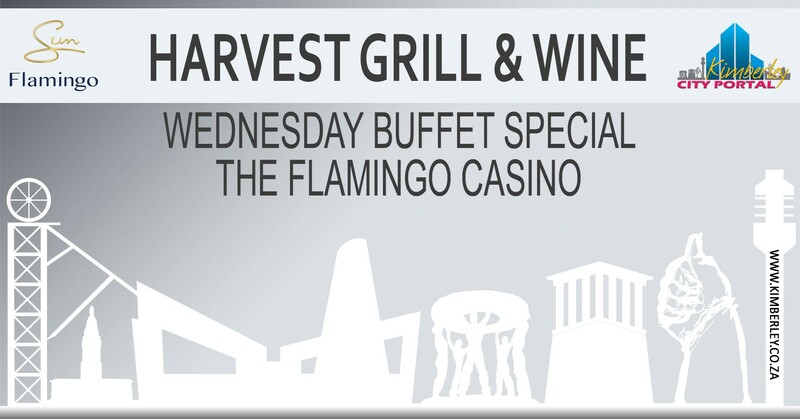 Harvest Grill & Wine at Flamingo Casino is the only place to be on a Wednesday evening! Sun International supports responsible gambling. Gambling for persons 18 years and older. Winners know when to stop. National Responsible Gambling Programme Toll-Free Counselling Helpline 0800 006 008 or send an SMS to 076 675 0710. Sun International Casinos are licensed casinos.